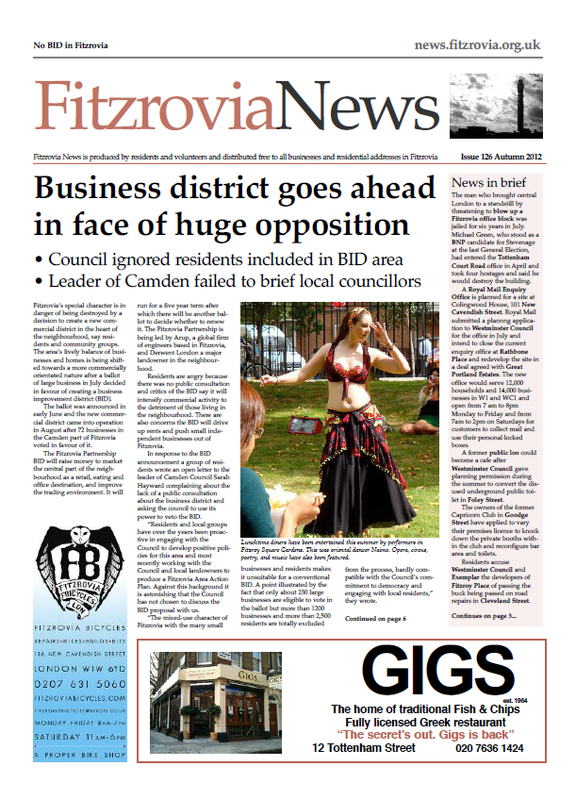 Front page of Fitzrovia News no 126 September 2012. Council ignored residents included in the BID area; Leader of Camden failed to brief local councillors. Inside: comments, news and features. This entry was posted in Fitzrovia News, Uncategorized and tagged Fitzrovia, history, hyperlocal, journalism, London. Bookmark the permalink.